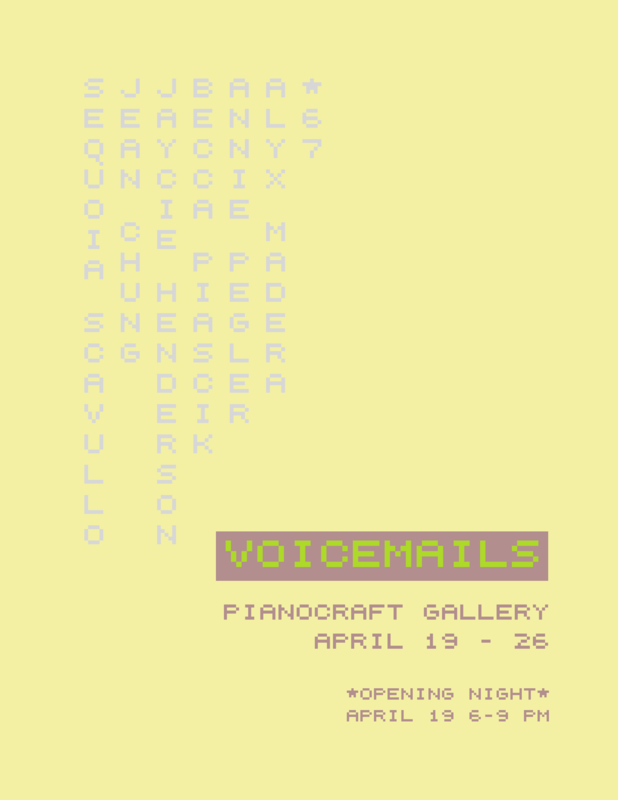 The Piano Craft Gallery presents VOICEMAILS: a group exhibition by students of the Intermediate Studio Seminar course at the of the School of the Museum of Fine Arts. The opening reception is April 19th from 6-9pm. Debuting bodies of work developed by seven emerging artists, *67 Collective presents VOICEMAILS, a collaborative show that walks the line of embracing and critiquing the broader now. 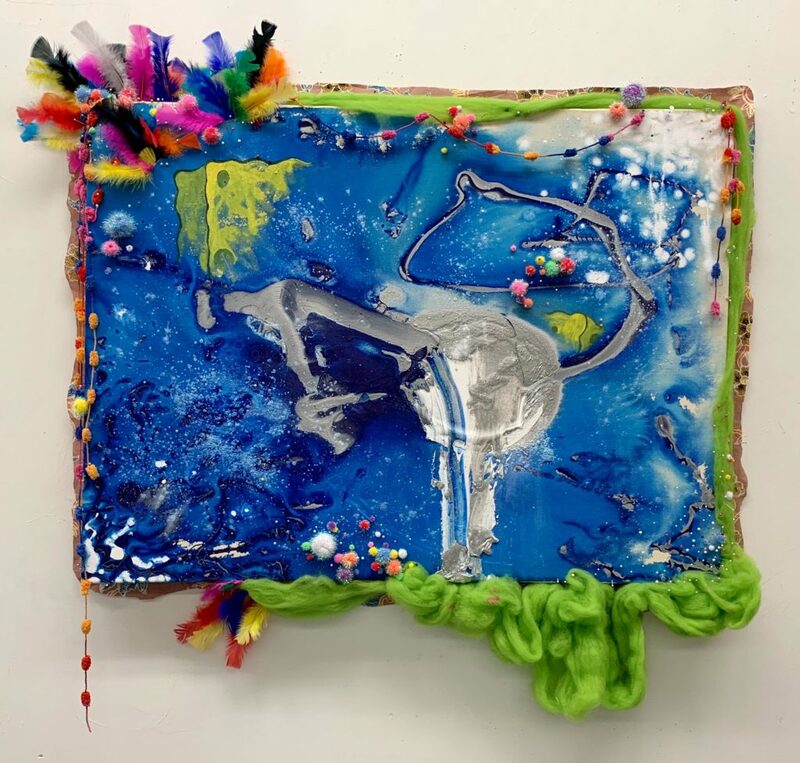 Working under Angelina Gualdoni at the SMFA, the artists come from diverse backgrounds both stylistically and materialistically, but their joint studio practice has enabled their works to be in conversation with each other over the course of the year. Jean Chung was born in San Francisco, CA and raised in Seoul, Korea. 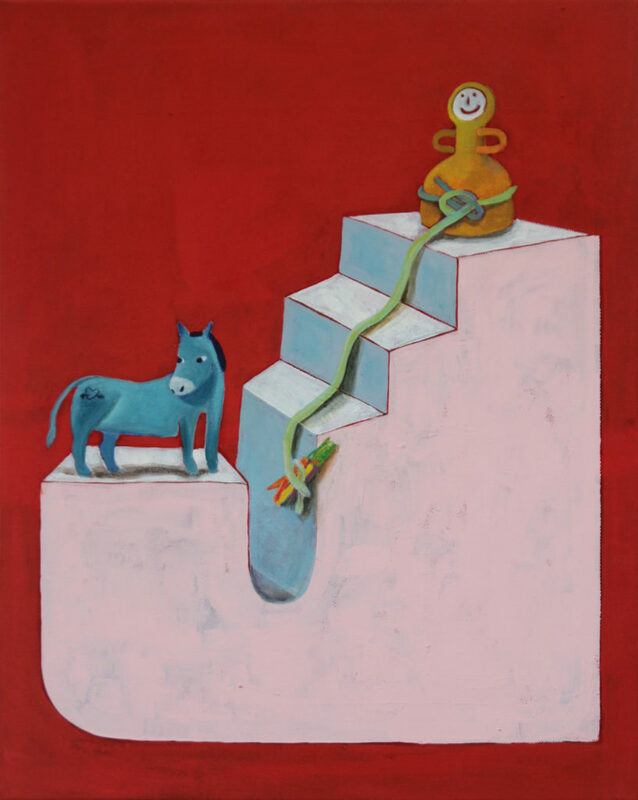 Chung paints around narratives of absurdity and vulnerability. Kitsch and humor invites familiarity while anxiety and a sense of urgency present discomfort. Currently based in Boston, Chung is a BFA candidate at the SMFA@Tufts. Jaycie Henderson was born in Fort Worth Texas, and raised in Beaumont, Texas. Working in painting, textiles and craft based materials, their work embraces the colors and aesthetics of adolescent graphics, and pushes against the confines of the domestic and institutional spaces. Henderson will be a BFA candidate at SMFA@Tufts in 2021. Alyx Madera was born and raised in Austin Texas. Madera populates her paintings with young people, existing within byproducts of rapid modernization and the debris of western mythology. Real and imagined figures haunt her quotidian Western landscapes. Madera will be a BFA candidate at SMFA@Tufts in 2021. Annie Pegler was born and raised in Spring Lake, NJ. Her paintings and ceramics, displayed in conjunction, explore dream consciousness, where images and objects double and become inverted. 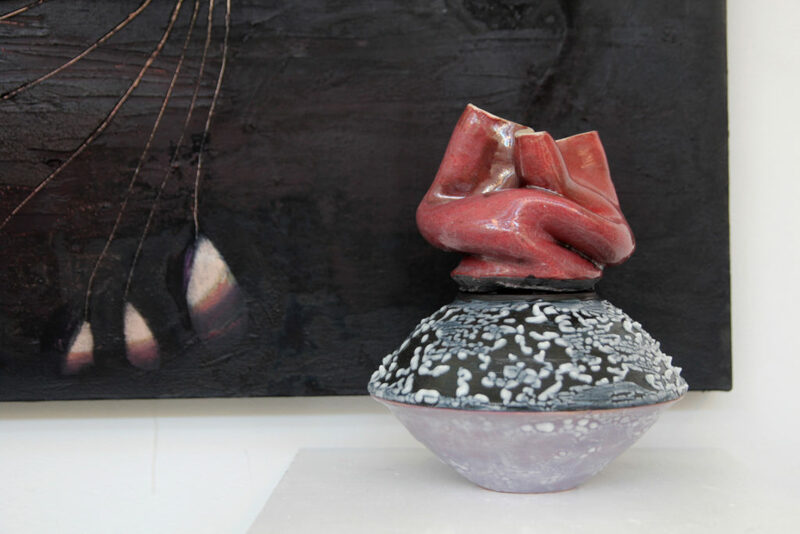 Taking what other practitioners consider “mistakes” on the wheel, Pegler rescues and utilizes slumped clay forms, stacking and combining bowl and cup forms into decorous vessel forms. She tries to capture the strain of memory by layering, erasing, and scratching into her paintings. Pegler will be a BFA candidate at SMFA@Tufts in 2020. Beca Piascik was raised in Upstate New York and lives in Boston and Southern California. 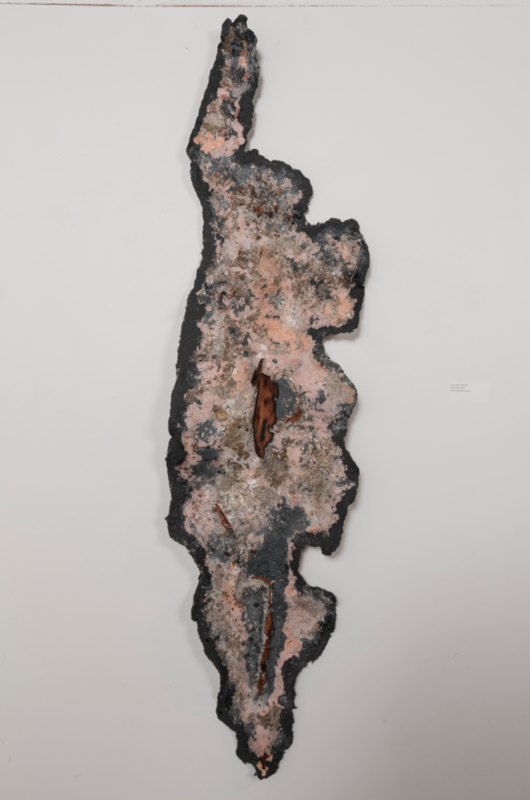 Working with paper pulp and ceramics, she explores connections between people through familial structures. Her ritualistic objects question interactions with the viewer as representative communities. Piascik will be a BFA candidate at SMFA@Tufts in 2020. Sequoia Scavullo was born and raised in Baltimore, MD. Working across film and painting, she explores the embodiment of machines as they transverse ambient landscapes. 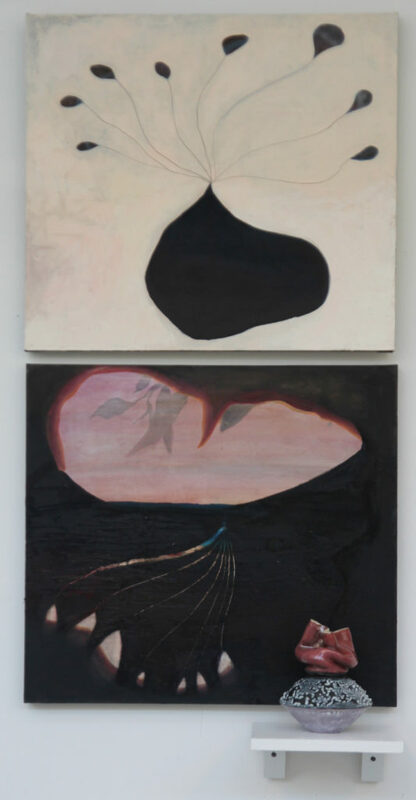 Dissolving the boundaries between machine, the human body and environment, her paintings become carriers of discarded, mundane and talismanic objects, morphing into portals in and of themselves. 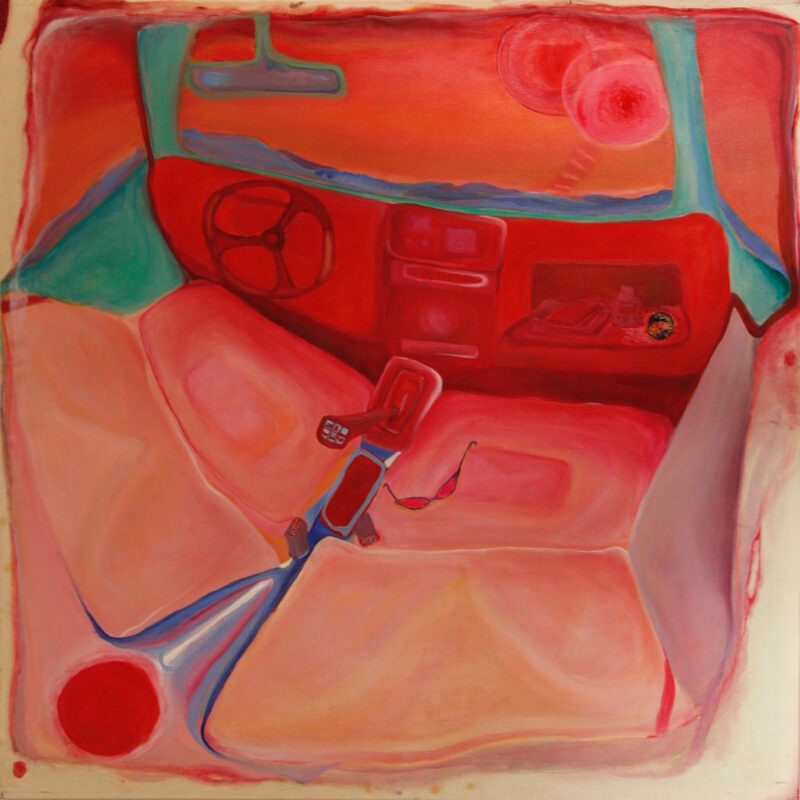 Scavullo is a BA and BFA candidate at SMFA@Tufts. Sarah Skupien is an artist from Nashville, currently working and living in Boston, Massachusetts. 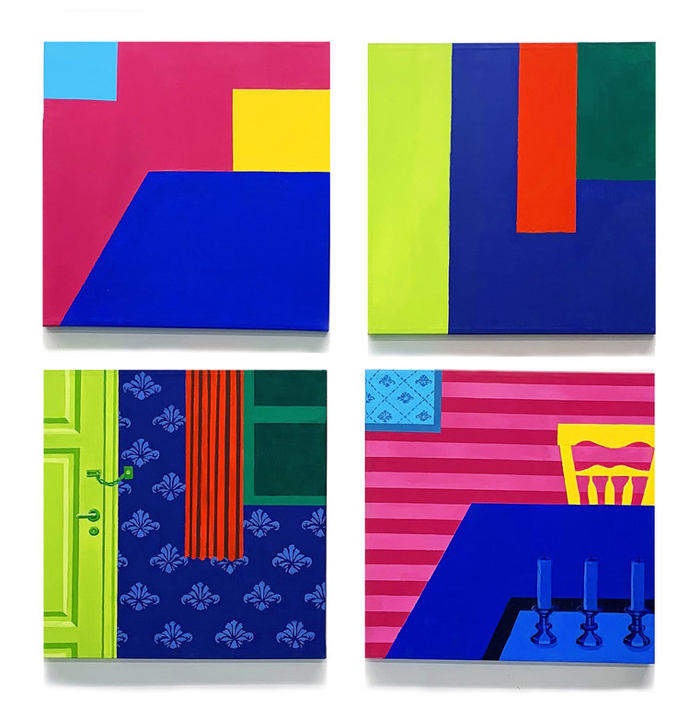 Using neon paints and flat bold color fields, Skupien renders alienating perspectives of contemporary domestic interiors and the complex dynamics of societal interactions in intimate closed spaces. Skupien will be a BFA candidate at SMFA@Tufts in 2021. The Piano Craft Gallery advances the understanding of contemporary visual and performing arts in the community and promotes artistic purposes through exhibits, performances, lectures, meetings, and seminars in connection with matters of artistic concern. The Piano Craft Gallery is an all volunteer-run non-profit community gallery space devoted to sharing artists’ work with the public. The Piano Craft Gallery, dedicated to offering thought-provoking and engaging exhibitions, is a historic Boston landmark located at 793 Tremont Street, Boston, Massachusetts. For more information, visit www.pianocraftgallery.com, www.facebook.com/artpcgboston, or https://www.instagram.com/artpcgboston. All information and rights are the property of the Piano Craft Gallery.